Located at the southwest of Yucatan Peninsular in Central America, Belize is the Caribbean country with the longest coastline in the northern hemisphere. Belize is adjacent to Mexico on the northwest, Guatemala on the south-west, and Caribbean on the east, as its territory is about 2/3 the size of Taiwan. The country is covered by 60% of the tropic rain forest, as it is dubbed as Eden in Central America with its zero-pollution ecological environment. 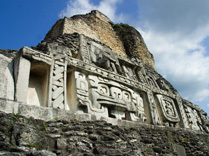 Belize was once the center of Maya Empire, and more than 600 historical relics are discovered in the country. 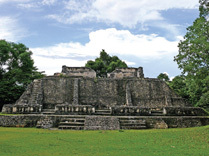 Belize can be divided into several tourism areas with each one enjoying its particular features. For instance, tourists will have the opportunity to experience the abundant historical and natural treasures from Corozal at the north to Toledo at the south. 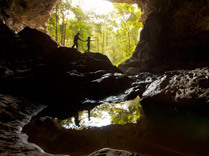 Natural history has long been the most precious resource in Belize. One-third of the country territory is designated as natural reserve where the largest living coral reef in the western hemisphere is housed that makes the country as the paradise for botanist, herpetologist, fish scientist, ornithologist, and zoologist to conduct in-depth research. The greatest charm of Belize is that there won't be any crowd for sightseeing, and it is why that its natural ecology can be so well preserved. 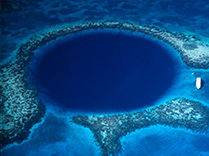 Belize is widely recognized as the paradise for water activities as the country owns the largest and longest live coral reef in 185 km long in the western hemisphere and the areas with the discoveries of many world heritages. The marine ecology of Belize is abounded with as many as 450 kinds of fish, 540 kinds of birds, diverse kinds of mammal and reptiles, and more than 70 kinds of coral, and tourists can have access to these scenes through private sightseeing tour. In fact, there is no need for tourists to learn diving before they can enjoy their leisure moments in this fun and exciting paradise. Besides, there are other interesting activities that will draw tourists' attention, such as water skiing (skiing on waters towed by yacht), wind-surfing, boat riding, or swimming. Tourists can also opt for different sea coast, river and creek shore for he fantastic fishing activity. As bonefish, sea silver carp, red snapper, and blue marline, and many other fish live in the waters of Belize, some experienced anglers would bring along with their personal fishing gears. Notwithstanding, rental services are available locally. Probably, the greatest charm of Belize lies with its landscape diversity as you can experience coral reef, gorgeous high mountains, fantastic rocks, roaring monkey, panther, alligator, and giant tapir rambling in the dense rain forest. At the northernmost area of Corozal, tourists can explore the blended beauty of different cultures. You can either pay a visit to Maya relics or enjoy the serene breeze from the emerald waters of Corozal Bay, experiencing the carefree atmosphere of Belize. 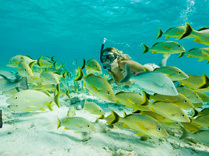 You can arrange itineraries of a short trip featuring fishing, bird watching, and hiking activities as well. Corozal, Sarteneja, Orange Walk, and Blue Creek are of the major scenic spots at Belize City and San Pedro. Belize City will connect tourists to any place they like to go. Visitors can take bus to pay a visit to Crooked Tree Wildlife Sanctuary in the north, take a boat to Cayes, and then take a bus to the leisurely Palencia to experience the adventurous Cockscomb Basin Wildlife Sanctuary, the archeological shrine of Carcoal and historical Maya relic of Xunantunich (meaning Stone Lady), or to the interesting Mountain Pine Ridge.